These units are designed to allow easy compensation of the majority of proprietary and kit built 4 wheeled wagons They use the same principle as conventional compensating W-irons, but feature internal bearings on the 'rocking' end. The non-rocking axle retains its pin-point bearings. This is a low profile version of our well established 2290 and 2291 compensation units making it suitable for vehicles where the clearance between the floor and the axle line is limited. They might be of particulatr interest to HO and 7 mm narrow gauge modellers. 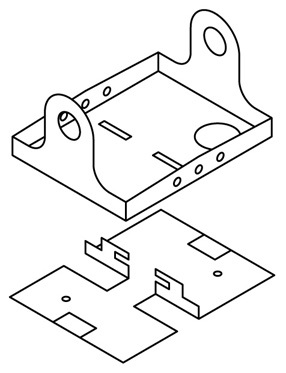 A fuller description of this item is given in the assembly instructions which can be downloaded here.